Maybe it’s only in English. In Finnish it’s käyrätorvi, ‘crooked horn’. I believe that the name ‘French horn’ is only found in the English language. I know that in German and the Scandinavian languages it is Waldhorn respectively Valthorn, which means “forest horn” (although most just say horn). Is it known where the adjective ‘French’ came from? While I am not all too familiar with the history of the horn, I don’t believe it to be of French origin. Where the printed page is concerned the colloquial English term “French horn” only really survives in tutors and instrumental books. This may be partly due to the superseding of the old narrow-bore French or French-type instrument with its upright pistons by the wider-bore German horn with the more convenient rotary valve action. Certainly not all “French horns” were made in France any more than all “German horns” are made in Germany, but the fading of the term “French horn” amongst players themselves roughly corresponds with the arrival during the 1920s and 30s of the more reliable and consistent German instruments. Interesting, thank you Mr. Condon. It’s called “French” horn as to not mistake it with the “English” horn (which is neither a horn nor English, but French). Simples! Interesting, I have only heard “cor” or “cor d’harmonie” before. It is still called French Horn extensively in the English speaking world. In the early 1970s the International Horn Society decided to adopt the single word “Horn” as the correct word for the instrument but that has not been universally adopted. The difficulty arises because “horn” is colloqually used by many musicians for any sort of brass instrument and even saxophones. When discussing the instrument, it is much easier to describe it to non musicians as the “French Horn” as that is readily identified as the specific instrument. The term is still used extensively in the modern methods, etude books and so on. 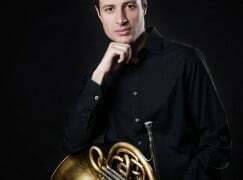 I just wanted to let you know that Pierre Azzuro has never been the principal horn in Avignon, he’s been the assistant principal horn of the Stuttgarter Philharmoniker since 2010. Actually the English have been calling it a French horn since the early 18th century. We won’t bore you with how Count Sporck, friend of Bach, brought the horn from the court of Louis XIV to Bohemia, and trained his servants to play it. Oh I guess we just did. Anyway, the Cor du Chasse–hunting horn–is definitely French and that is where it all began. Lully used it one of his operas. So maybe the Brits were right after all. Despite all erudite official pronouncements tsk-tsk hand-wringing, it remains the *French* horn in everyday usage.